You may not need a Lexus or a Mercedes, but you definitely need a car. More importantly, you need access to that car or else this entire equilibrium you’ve created that allows you to get to work and other obligations on time will crumble. If you can’t get into your car, you’re stranded and helpless until someone arrives. The hero you need in this situation is, of course, the premier Philadelphia automotive locksmith. But what do you do after you’ve got the door popped? Do you need a new key? What if you can get into the car just fine, but the ignition won’t turn using the key you have? Philadelphia is a large city. The more people in any city, the more variables are at play with the security of your possessions. 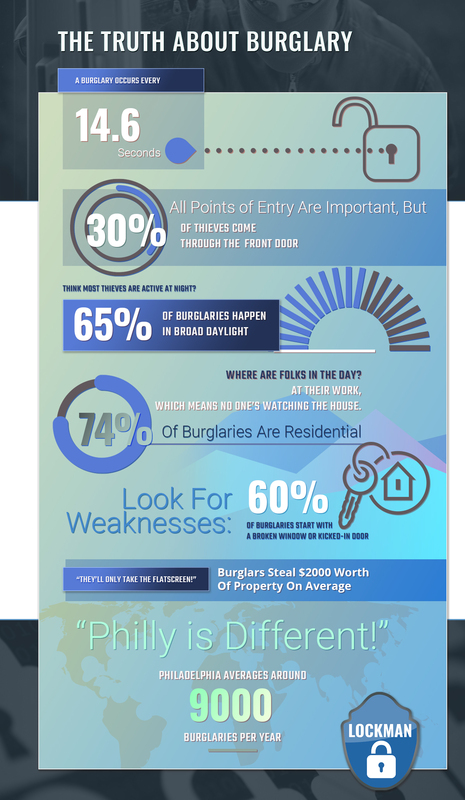 Locksmiths are better than your average pop-a-lock, mainly because they won’t break or damage your current lock, but also because they have more interest in your continued security than they just collecting a paycheck for opening your door and retrieving the keys locked inside. Our complex automotive locksmith services are meant to keep your transportation arrangements on schedule via the continued security of your vehicle and the ability to always access your car. When you lock yourself out of your car, you may think you’re out of options. Walk yourself through a couple of steps just to make sure you’re truly stranded before you start to panic. If you have family in the Philadelphia area, you might think of giving one of them a call. There’s always a chance that they’ll have an extra key to your car, especially if that person is your mom. If you don’t have someone around town that might have a spare key, perhaps you should have Lockman create a new key for you, and you can plant it in a trusted individual’s palm for your future protection against further inconvenience. Speaking of spare keys, do you have one on hand? For security reasons, we don’t often recommend having more than two spare keys created. You might want to look into investing in a second key for situations like this to place in a fake rock somewhere on your front porch, or hide it somewhere extra sneaky in the backyard. 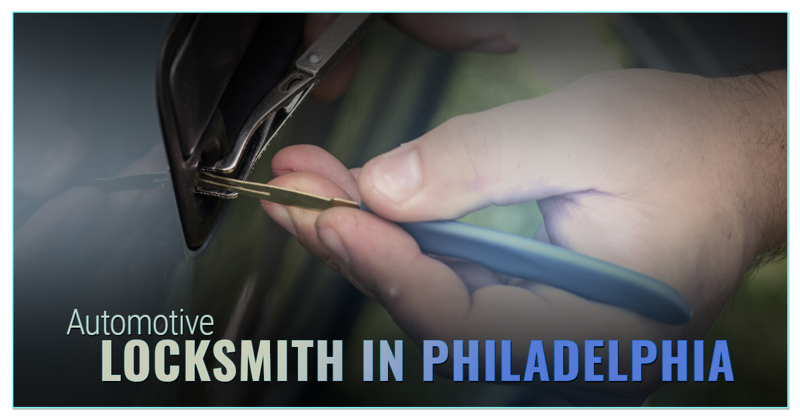 When you’re getting a couple of new keys made, make sure your Philadelphia locksmith programs the transponder key for your vehicle specifically. This is a particular worry for folks with newer vehicles, mainly because while a 1999 Honda Accord will pop open and start up using any key, newer vehicles have chips in their keys that act as an extra layer of security. Actually, professional locksmith like Lockman will have no problem helping you match these pieces up. If you’re close enough to your car dealership and you’ve managed to lock the keys in your car within a couple years after you purchased it, they might come out and help you out. Many newer vehicles come with a driver satisfaction protection that includes your dealership will come help you out when you lock your keys in your vehicle. However, there are a couple of caveats to this rule. If your vehicle didn’t come with that automotive package, then your dealership won’t make roadside assistance an option for you. If it is an option, they might only make it an option for a limited amount of time, as in the first two years that you own the car. If you’re past that limited amount of time and you haven’t been paying for the subscription fee for their roadside oopsie program, they won’t make time for you. You should note that if you compare how much it’ll cost to have an automotive locksmith open your car for you in comparison to paying your dealership a monthly fee, the automotive locksmith is the more affordable solution. Some car insurance companies provide a few perks for their favorite members and they might loop in a roadside assistance package depending on your plan. If you’re not in a hurry, you could always call and ask if that’s an option for you, but if you’re trying to get to work in a timely manner, even with your vehicle being essentially inaccessible to you, you might consider just calling a locksmith. Often, the most simplistic answer to your question is the right one. There’s no need to reinvent the wheel, all you have to do in the event that you lock your keys in your car is contact your local automotive locksmith: Lockman. Whether it’s your trunk, your glove box, or you’ve simply lost your keys to your car, we can get you back in the driver’s seat and on the road in a much more reasonable time than your buddy, who has your spare key who might pick up your phone call, or roadside assistance that will barely be willing to get to you in under an hour. Make it easy on yourself, contact us. Since the Egyptians figured that they wanted to lock up what was theirs, locks have been developed to protect what’s yours. Your vehicle is one of the more expensive and useful items that you likely own beyond your house, so it’s natural that there’s a couple of lines of defense for your vehicle. Your key-in-ignition is one of those man security layers that your vehicle has against being stolen. Of course, there’s the idea of “jumping” a vehicle, but unless you know how to do that and want to rip the wires out of the steering console of your car, you probably want starting your own vehicle to be much easier. If your ignition isn’t working with your key, don’t panic. We’ll walk you through the steps to be sure that your ignition isn’t merely having a minor malfunction. Steering wheels get locked when your wheel is moved after you’ve removed the key from the ignition. It’s the most common reason your ignition might not be moving. Stick the key in the ignition and turn the wheel to the right and left. Note which way the wheel turns easily. Turn your key toward the accessory position while keeping your wheel turned in the direction that was easiest. If you can’t get the ignition to start, rock the wheel back and forth while trying to start the car. If the key never turns after quite a bit of jostling, you likely have a more serious problem with your ignition. Keyways get jammed up from time to time and it causes any sort of lock and key arrangement to stop working entirely. A lock of any kind is made up of a variety of tiny, carefully moving mechanisms that can get stuck on occasion. Each piece has to move with a remarkable precision for the lock to function properly, and sometimes, a little lubrication is all you need to make sure those cohesive pieces slide back into their place. Don’t turn to WD-40, though. It’s a favorite lubricant in most cases, but is known to jam up locks even more. Instead, we’d recommend using a graphite-based lubricant or a silicon-based one to find more favorable results, especially with your ignition, which is a very precise and temperamental lock in some cases. If you’re going to try lubing up the keyway, take a cloth, your lubricant and your key. Spray the lubricant and wipe away any excess leaking from the keyway or around the keyway. Insert the key and turn it. If this doesn’t prove effective, wiggle the key in the lock as a test. If this doesn’t work, attempt the process a couple more times. If it does not start the vehicle, it’s likely that you’re looking at a more serious issue. Keyways get jammed up from time to time and it causes any sort of lock and key arrangement to stop working entirely. A If the above solutions don’t prove successful, you’ll need to give your local automotive locksmith a call. Lockman would be happy to look at the lock and advise you on whether you need a new key entirely or a new ignition cylinder for your vehicle. At the least, we’ll be able to help you figure out if it’s a mechanical issue instead of a lock issue, and we can always get you outfitted with a new ignition cylinder and key, which is a much more affordable alternative to getting that same service at the dealership or mechanic. We’re better with lock and key situations anyway, and we can help you potentially increase the security of your vehicle. In Philadelphia alone, there are 1.58 million people. That population does not include the surrounding neighborhoods of folks who stream into the city for their jobs and day trips either. A few of those are bound to want to steal your car. The more people in any given area implies that there’s a higher chance for crime because there are more variables at play. Because an ounce of prevention is worth a pound of cure, you might start to consider vehicle security and how you can improve it. At any point, your vehicle might need to be parked on a not-so-busy street in the dark, or it might need to be parked in a grocery store parking lot toward the back. Even if you store your vehicle in a garage, there’s still a pretty high chance that your vehicle will often be in the position for someone to take it. Protect yourself against this possibility with premier automotive locksmith services now. You live in a bigger city — should we really have to tell you that you need to have your doors locked at all times? You should even lock your car doors when you’re driving. Quite a few drivers are under the impression that your car is safe as long as you’re in motion. In a bigger city, there are car thieves with impressive skills that they’ll use to compromise a vehicle and take it from you, even while you’re in motion. Locking your car at all times protects you from this possibility. You can rest a bit easier though, since your car is already much harder to break into than commercial and residential locks are. For example, your car locks cannot be bumped and they require special autopicks. This hardly means that if your car is locked it can’t be taken, but it’s certainly harder than breaking into your home is. A car thief, in general, will mostly be looking for opportunity, rather than a specific vehicle model or color. If a car is unlocked, that’s their opportunity, and they’ll take it. The key to outsmarting a thief or any criminal is give them as few chances to take advantage of you as possible. That mainly means don’t leave an unlock vehicle unattended. There are additional ways to keep your car safe and sound, even while locked, that will ensure an unattended vehicle isn’t quite so stranded and vulnerable. For example, try not to park in overly isolated areas, especially ones that aren't well lit. Specifically avoid reducing the visibility of your vehicle anywhere you park, i.e. behind large walls, and other obstructions. Criminals don’t want to be visible as they try and break into your car, so putting your car in a busy area first is the best step toward comprehensive security for your vehicle. Even if you’re stepping away from the vehicle for only a couple of seconds, just don’t leave the car running. It’s the very first rule you should follow if you don’t want your car stolen, but it’s also a pretty self-evident rule. Don’t give any criminal an opportunity to take advantage of you. Don’t leave the car running when you’re not in it, with the doors locked. This may seem obvious, but it’s an easy rule to forget if you have a black interior in your vehicle and those hot Philadelphia summers are getting to you. It’s rather pointless to both locking your doors if you’re going to leave your windows down while you “just pop into the store.” A thief can easily and discreetly slip their hand through the window, or a tool if the window is just cracked, pop the lock, climb in and take off with your vehicle. The best way to avoid this is just sweat a little bit more and roll up your windows. Your car might heat up fast, but not as fast as your heart will start beating once you realize that you only form of transportation has just been taken in a huge city. Personally, we’d rather be a little uncomfortable in the temperature, than have to file a police report after a long day. Keeping your vehicle up-to-date with better locking mechanisms and better key-to-lock systems is probably the easiest way to keep your vehicle. Installing a more fool-proof ignition and making sure the locking mechanisms on every door is properly maintained is both more affordable than a new car and much more affordable than trying to pay for a monthly security system for your vehicle like OnStar. Turn to the best auto locksmith in town to get your automotive totally secure. Ready to improve your vehicle’s security? Reach out to Lockman in Philadelphia today to schedule an appointment. We can create a couple of spare keys so you’re not stranded if you lock your keys in your car, make sure your ignition’s key channel is clear and working properly, as well as increase the overall security of your vehicle. You won’t have time to always ensure that it’s parked in the best spot, but you could make time to ensure the vehicle is already equipped with a number of security measures.